All Kirkland homes currently listed for sale in Kirkland as of 04/18/2019 are shown below. You can change the search criteria at any time by pressing the 'Change Search' button below. "Once in a lifetime property and priced right. 3 bedroom 2 bath home. 2 owned wells, 2 power services. 35 acres+- Large 1280 sq ft Garage/shop. Barn tack room, coral for your horses. 2 X 6 triple wide construction. Sauna, green house. Views that take your breath away. 1 hour from Wickenburg and 1 hour from Prescott. Home is beautiful and has eat in kitchen, dining room, living room, family room, covered patios and carports. Property is adjacent to open land and elevation is about 3600'. 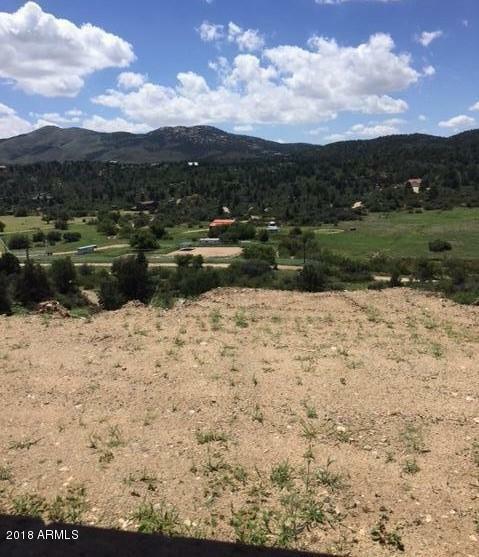 Owner adv"
"Beautiful panoramic views from this partially completed block home. 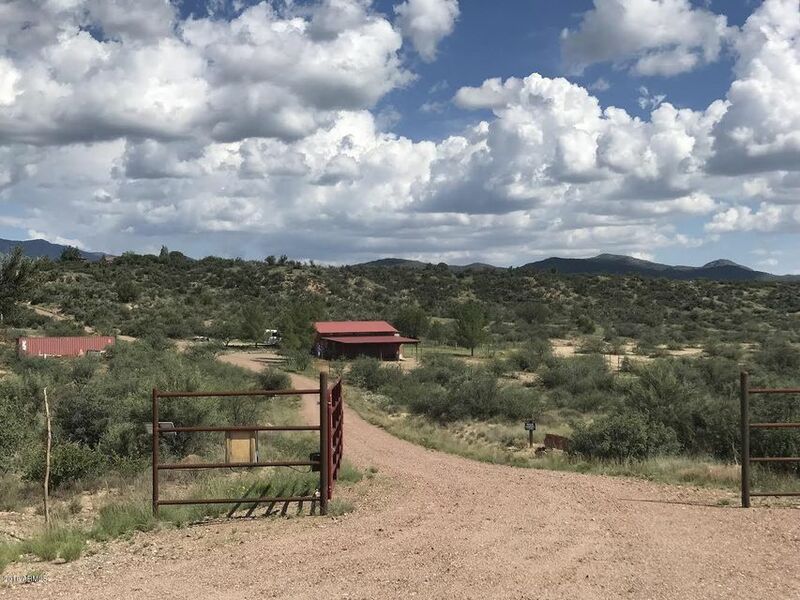 All permits and fully approved plans on file with Yavapai County. PRICE DRASTICALLY REDUCED FOR MOTIVATED SELLER." "A solid project start - livable cement block construction - site built and closed in - Completed 944 sq ft permitted dwelling and septic. Built into hillside with south facing walkout. 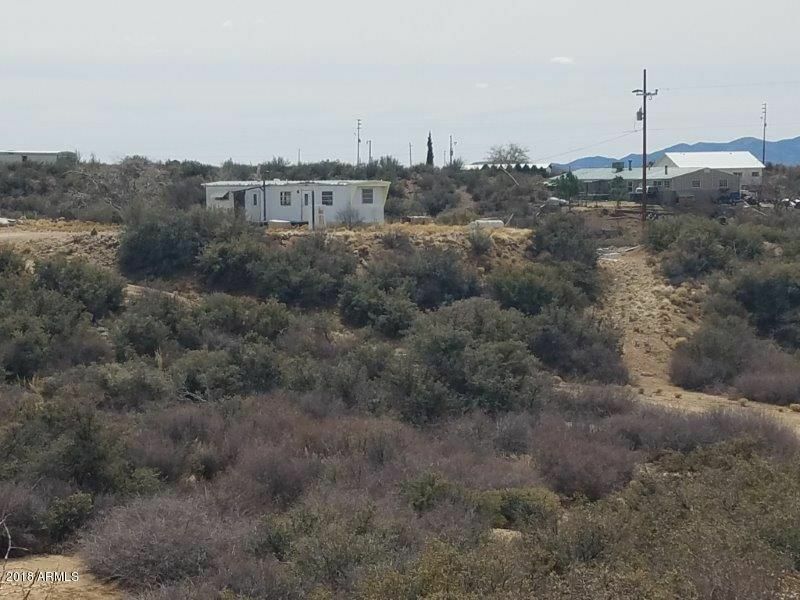 Lots of space on this 1.86 acre parcel with views of the Weaver Mountains. Great bones! Ready for you to finish the inside, add on or whatever your dream. Seller willing to negotiate terms for Seller carry with 50% down in cash or cash + in-kind." "COME TAKE A LOOK AT THE BEAUTIFUL VIEWS FROM THIS LOT! THIS SALE INCLUDES 2 PARCELS FOR A TOTAL OF 3.65 ACRES. KEEP BOTH PARCELS FOR A LITTLE CUSHION AROUND YOU. 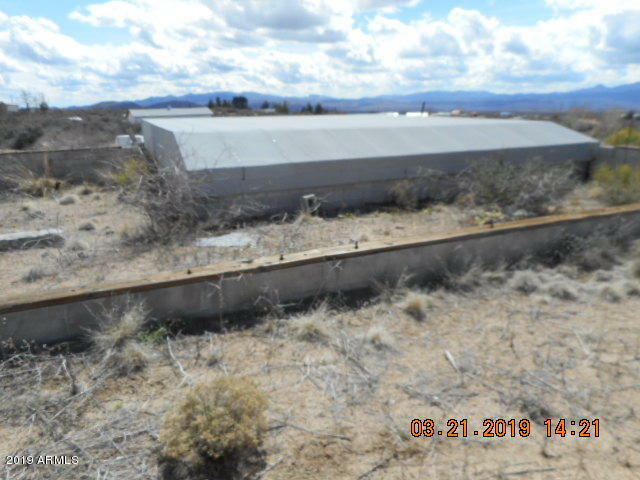 THIS PARCEL HAS A HOLDING TANK FOR DELIVERED WATER & POWER IS ON PROPERTY. 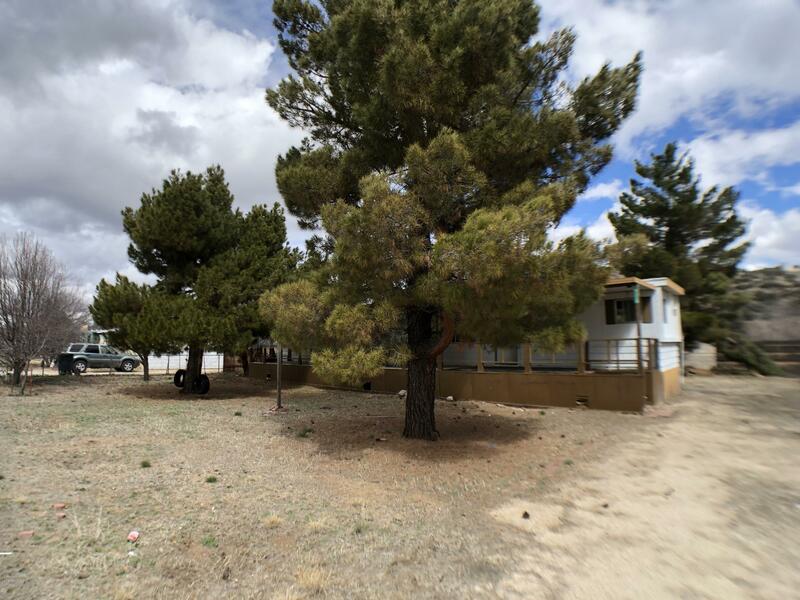 420 SF MANUFACTURED HOME W/A 90 FT WOOD DECK & 198 SQ FT METAL ROOF. REMOVE THE MANUFACTURED HOME AND REPLACE WITH A NEW MANUFACTURED HOME OR BUILD YOUR LITTLE GETAWAY. SELLER IS GIVING NO VALUE TO THE HOME. LOCATED APPROX 20 MINUTES FROM PRESCOTT AND 45 MINUTES "